Arches by Nica for all occasions/showers/ weddings/anniversaries/quinceneras etc.. The kids loved Nica’s performance. From the songs to the bubble machine at the end....the party was a success! We loved watching the little ones laugh and try to grab the bubbles. Thank you, Nica, for making my daughters birthday party the talk of the town. NICA was phenomenal she had great control if the crowd and captured the attention of the young audience. She was very patient and loving. balloons for all the kids. She made our party a huge success! They even came early to help set up. Thank you Nica! Nica did a great job at my 5 year old birthday party. Kid’s had a great magic show, plus glitter tattoos and funny dancing. I would recommend Nica to anyone, she’s funny, amiable, open and energetic. Thank you Susana for the lovely review! 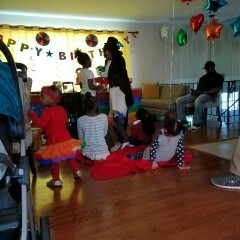 I enjoyed myself at Julian’s 5th birthday party in McClean Va! The children had a wonderful time especially dancing with the lights out using the glowy rings! The glitter tattoos and the balloons was a big hit at the PJ Mask party! The diversity of the children made it exciting and fun to entertain. Many of the children gave me hugs and said please come to my birthday party! I said of course I will be there!❤️ Nica Children Party Entertainer. Everyone has different opinions, there were guests who asked for her info after the event. However, it is not the entertainer I wanted for my daughter's birthday party. I needed someone with a loud voice and higher energy level. She was nice, respectful, and professional. Her assistants did not really look so interested to help. Using earphones, to me not so professional. As I said, she was good, very kind, and sweet, and kept the kids' attention. Mariela, your request on Gigsalad was children party magician. You did not place in your request that you wanted a person with a loud voice, some children do not like loud voices! I would not have responded to your request if you had stated that in your initial request. Also, there was an over site in the performances that you mentioned. The performances were: a magic show, glitter tattoos, a tunnel race game, music and movement with boom whacked and glow rings was given to all children and several adults. Note, many of your guest wanted my contact information to perform at their party simply because they said I was awesome. I am listed on Gigsalad as a top performer which means my work is outstanding! My ratings have been 5 stars ⭐️ ✨ 🌟 Nica is an outstanding and awesome performer! Thank you so much!! The children had a wonderful time!! The magic, glitter, tattoos, balloon animals & games kept the children entertained all afternoon! Thanks again! We loved Nica! We Use Her Every Year! We use Nica every year! She entertained at our Praise in the Park and also at our Annual Crab Feast. She painted faces and made balloons for the children as well as adults. Nica came one hour early to help set up the festivities in the park. She loves children and is very patient! Nica is Bi-lingual and spoke to some children in their language which made them feel welcome. We are pleased with Nica and we use her for our annual festivities. Nica is fabulous, we love her! To be honest, we were expecting more from Nica and had even hoped to have her come back for our elder son’s birthday. She was half an hour late - she did call to let us know she would be around 15 mins late due to traffic - but she still left just before 12. The different parts of her performance left a lot of time where most of the children were not involved and over half lost interest half way through. Her music is only through her iPhone so hardly anyone hears it and she took a long time to find it etc. Even though we explained more than once that most of the children do not speak Spanish (we do) she kept reverting back. Nica herself left without even asking how we found it, if we were happy etc. and as mentioned above, there was no effort to compensate the half an hour we lost. Suffice to say we will not be contracting her again. 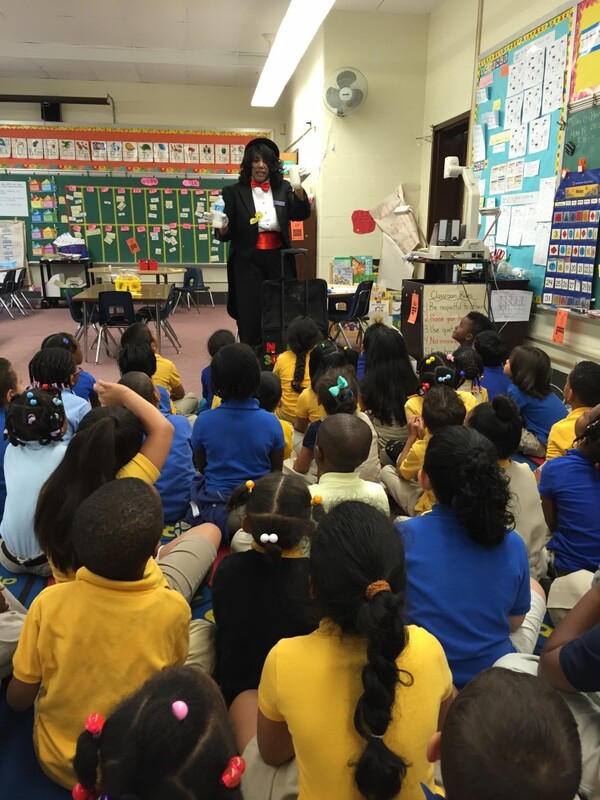 The show performed was well received by the children they volunteered and assisted me during the magic show. The children were pleased and especially enjoyed receiving the balloons. Before two of your guest left they said to me, thank you Nica I enjoyed the show it was great! My response was, thank you and thanks for coming! Your guest left before 12 noon, in a hurry to leave before the next rain and to fulfill their next schedule. This region suffered with hurricane winds from North and South Carolina, torrential rain, trees and branches were blown down the previous night on the highway, the lanes were shrivel and condensed from 4 lanes to 1, therefore traffic was congested! You were called from the car phone concerning the problem and my arrival. Before my departure, I hugged you and you returned the hug along with a hand shake. One can receive mix signals from this gesture! If you were disappointed, you could have conversed with me before my departure rather than a hand shake and hug. My concern is: the children were pleased and was entertained at your son's party. I believed you experienced a cultural shock, when I walked into your home. Rather than judge me by the color of my skin, judge me by the content of my character. My character is proven by my 5 star ratings with clients leaving positive and excellent ratings based on my character and performances. A review of this nature should NOT be left on the internet for America to read. Gigsalad is a reputable company and believes in only the best for their clients.I am a "featured" and "top performer" you were given a great party but did not receive it. I believe in performing to the best of my ability, and have been for many years. My clients book me year after year and will change their schedules if I am booked. Nonetheless, I bid you good luck in your future endeavors. Thank you Jaytoya for the wonderful review! 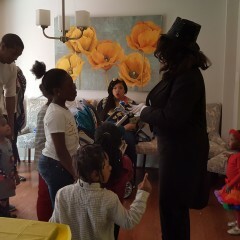 I had a marvelous time entertaining the children and adults especially during the magic show. I'm glad everyone enjoyed the led rings, they are very pretty for all ages! Gracias Sarmiento for the wonderful review! I too had lots of fun at the party, especially doing the meringue at the end! I can't wait to see them next year for a bubble or glow party! Nica was asked to entertain children from 5years to 10years and arrived fully prepared with a wide range of games and entertainment. All the children had a marvelous time! Nica was great and had the kids wrapped around her finger. They liked her magic and her jokes and I got to have uninterrupted conversations with adults during her performance! Nica provided entertainment for our daughter's first birthday and helped make the party a great success. The children in attendance were predominantly infants, toddlers, and preschoolers. She did an outstanding job of keeping all the kids (and their parents) entertained with her storytelling, magic, and glitter tattoos. Thanks Anne for the wonderful review. I think we all had a great time at the delicious breakfast party. 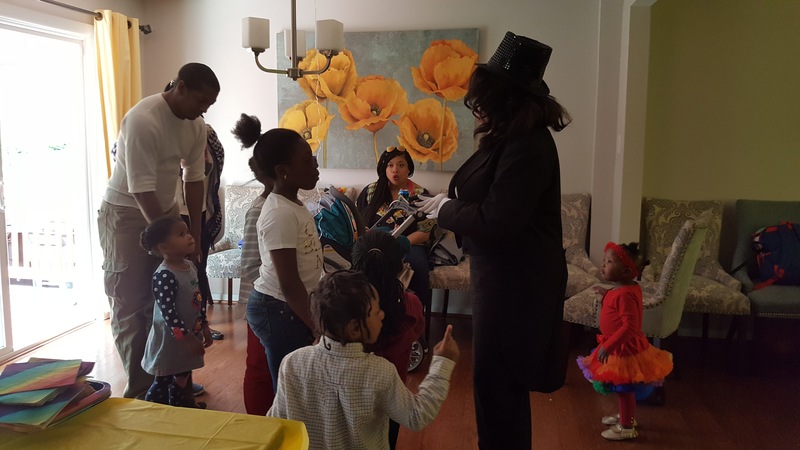 The little ones really enjoyed being my assistant during the magic show, they surprised me and were not afraid to come and assist! They did a fantastic job! The glowy ringd were a big hit with everyone! Thanks again, I truly enjoyed myself! Nica provided many activities and the children loved them all! Thank you for engaging kids through out the party. They had great dance, enjoyed your magic show and all the kids had tattoos. It was great entertainment. A great time was had by all. Parents were able to have a break because Nica kept the children well entertained. Nica offered 4 different activities to the children and they enjoyed every moment of it. She even helped lead in singing the birthday song. Thank you Fiona for the photos and wonderful review I had a wonderful time. The food was delicious and my family only wanted to eat your food after I told them that your family was from Barbados! A great party! We hired Nica to entertain at our kid's 4 yr party. Nica was in constant communication with me on the size of the party and gave ideas on what we could use for entertainment for a crowd . She confirmed a few days before the event and called on the same day to say that she was on her way. Nica was very engaging and personable with all of our guests. My kids still talk about Nica coming to her party, it was a fantastic experience for both kids and parents. Thank you Claudia for a wonderful letter. I had a wonderful time especially reading the story called The Mitten at the party it was a blast! The little one that balanced the balloon on his nose was too hilarious! That was a party that I would never forget, we all had a wonderful time.Thank you so much for a wonderful review. Muchisimas gracias. Nica Party Entertainer. I stumbles upon Nica and needed her at the very last minute for my son's 1yo birthday party. She was reasonable priced, very accommodating and kept both the kids and adults entertained. I will definitely hire her again. I would recommend her without reservation. Nica the clown did a great job at our daughter's 5 year old party. Her magic was age appropriate and she effectively managed their short attention spans!!! She was very interactive with both the adults and kids. Nica was even able to pull in the one very shy child into the group. I would hire her again. A Huge Thanks to Nica for coming to entertain Senior citizens with disabilities in a Adult Day Care Center .. Nica did an outstanding job performance she got everyone engaged in participating in the activity she was doing.. Nica was so professional, kind , Patience and so respectful , Nica put a smile in all of our Seniors .. Again I want to say thank you so much Nica , you're the best!!! I sincerely want to thank you for your entertainment. At first I was a little concerned about our restless age group 3 to 7 years old; but, you captivated the children with your performance and engaged them in participation. Your professionalism, patience, and skill proved to be superb. All were delighted, including the parents. Thank you again. We would like to invite you for a return show of fun and wonderful entertainment. Thanks Maria for your detailed review. I enjoyed myself with the children especially the ones who didn't speak English. I look forward to entertain your guest in the future. Thanks again! I am the activities manager at an adult daycare for senior citizens with disabilities. Naturally, this is not a crown that pays attention fro very long. Nica was able to work with everyone's strengths , encouraged audience participation and kept everyone engaged during THE WHOLE SHOW. Where I work, this is unheard of. She made sure everyone got individual attention and a chance to experience part ofthe magic. Most importantly, she treated everyone with dignity, respect and made everyone smile. Thank you Rose for the review! I enjoyed my time with the elderly seniors at the adult daycare! If more people would give their time to entertain our seniors it would make them feel important, which they are, after all we are here because of them. I enjoyed their interaction and participation. I look forward in coming later this year and even next year! Nica Party Entertainer. She showed up ahead of time as promised and kept a group of 5-year olds engaged for the entire time. I would certainly hire her again and will recommend her to friends and acquaintances. Nica twisted balloons for our school fundraiser on October 23, 2014 from 5 to 8pm at Chick-fil-la restaurant near our school. The parents and children were happy with their balloons. Thanks Mrs. Love for taking the time to submit the review. The line was very long but the children and parents were patient and enjoyed that night. I believe with the clown being there, the school had a good fundraiser! I meet Nica at a friends birthday party and I was sold!!! My twins were turning 1 within a month and I contacted Nica for her assistance. She was punctual and reconfirmed what we had discussed. She performed her magic show with all my guest and then asked if I wanted another magic trick or does she moved to another location with the children to continue with balloon twisting? I told her to go to the other location with the children so the adults could dance. I was in awwwww... Five My guests can to me and asked why didn't you let her continue performance? She is really good! With that being said it is enjoyable for all especially adults because they are trying to see how the trick was done. I definitely recommend her for any event. Gracias Elvita para el recomendacion! The party was so much fun, especially since I had met some of the children at a previous party. Your daughter Clarissa loves balloon twisting, she is the best! I enjoyed the children and especially the adults. David was a big hit while assisting me with the magic coloring book!! The audience really enjoyed him as he assisted me with the magic! Gracias para todos! Nica the Clown spent a lot of time planning and preparing for Family Math Night. She was the talk of the night. Students and parents loved her presentation! Thanks again Nica the Clown!! Thanks Stephanie for your response! Using Magic to teach Math during Family Math night was a blast! The parents and students loved the magic and said "wow" how did you do that!! Nica was a fantastic magician! The children loved her magic! Nica entertained nine and ten year old students using educational Magic at a birthday party. The children were focused, engaged, and excited with her magic! She involved the students in her performance and that caused the party to be a big hit! This was a private birthday party in May. Thanks Ms. Gail for the lovely review! I enjoyed the birthday party with the 9 and 10 years old! Nica the Clown Big Smash at Career Day! Nica the Clown enchanted the children during our annual Career Day activities. She shared the work of a magician as she performed her magic feats. Thank you for a job well done and I look forward to your participation next year. Thanks Mrs. Pollock for the evaluation/review. I had plenty of fun demonstrating magic to the little ones at Calverton on Career Day! I also enjoyed watching the reaction on their faces! I look forward participating next year!! Nica the Clown did an outstanding performance at my daughters 3rd Birthday Party. She kept the children entertained as well as the parents. All the kids that attended were very comfortable with Nica and enjoyed being around her. If we have another event that needs any of the services that Nica provided I would definitely hire her again. With that being said, I want to thank Nica for performing at my daughters birthday party and for making the day so special! Thanks for the lovely review! I enjoyed the party as much as the children did on December 7th! The room for the entertainment was absolutely wonderful and spacious, your home is beautiful! The children and I had a wonderful time at your daughter's 3rd birthday party and I hope you and your family had a wonderful holiday season visiting your family in the Midwest. May you and your lovely family have a prosperous new year! Thanks again, Happy New Year! From Nica Children's Party Entertainer. Fun, professional, and a hit with kids! At the party, she was great with all the kids (we had about 15 or so) and she entertained them (and even the adults!) for the entire 2 hours. She even offered special surprises and gifts for the kids which were a big hit!! This was the first time I hired an entertainer for a private party and I am so happy to have met Nica. She truly offered a special touch to our party and made the girls feel even more special! I highly recommend her to everyone! Thanks so much for the wonderful comments, I too had a wonderful time at the birthday party. You home is lovely, your friends and family are the best! I hope your brother and sister-in-law had a safe trip back home overseas, please tell we said hello! Everyone had a ball with Nica the Clown Entertainer--including the adults!! We searched Gig Salad and booked Nica over the Labor Day 2013 weekend for my son's 2nd birthday. Nica was very responsive (by telephone and e-mail) to our inquiries, despite the fact that we called only a few days before the event. Nica provided clear information about her pricing and services and gave excellent guidance regarding whether she should appear in full clown makeup or with limited makeup as a magician in the event my 2 year old was afraid of clowns (we decided on "magician" make up). On the day of the event, Nica expertly performed several interactive magic tricks that kept the children (ages 2- 8) engaged, and stumped even the adults. Moreover, she used her knowledge of Spanish to communicate with several of the children (without alienating those who didn't speak Spanish). After the magic show, the children (and several moms) were absolutely thrilled with their glitter tattoos and attention grabbing party favors. Nica was truly professional and entertaining (and frankly, just a nice person!) We would hire her again without hesitation and we highly recommend her for any event! Thanks Mrs.Kim Jones for the lovely review! I most definitely enjoyed myself at your son's 2nd birthday party, the children were all well mannered and we had a wonderful time! My husband enjoyed your food and especially his slice of cake! Please say hello to your wonderful friends and their families. May God continue to bless you and your family! I had the pleasure of performing alongside Nica the Clown in August for a 5 year old birthday party. Nica was wonderful. Not only did she perform the best magic around, but she was very patient as she gave all of the children tattoos and face painting. She also adds balloon twister magic as well. The children were very engaged and exited. Additionally, being bi-lingual (English & Spanish) makes her a great fit for children of all backgrounds. She will turn any children's party into a very memorable and enjoyable event your child will not forget. Book her today!! Thank you Devin for the wonderful comment,the party was a blast! I enjoyed it and the children were oh so happy! Nica, superb clown wows children, adults of local families!! Nica entertained at my grandchildrens parties and my husbands 80th birthday. She was superb. The children loved her and the adults laughed their heads off! They loved her too! We wanted more when the time was up, and looked forward to her coming again. What a talented gal!! 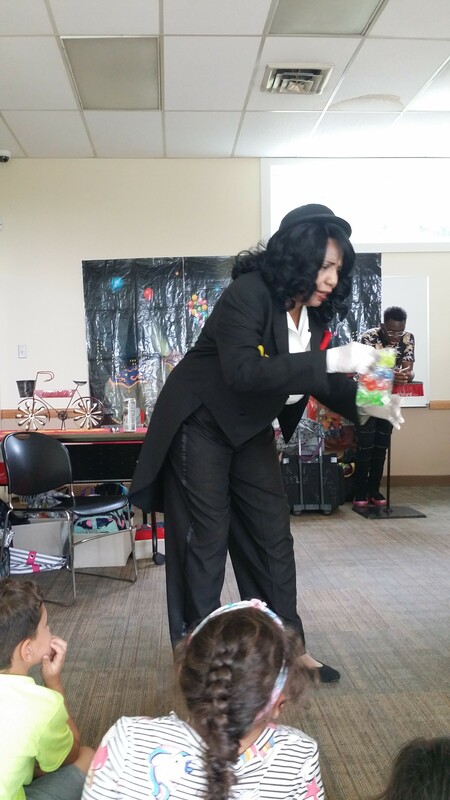 I was able to see Nica the clown during Career day at Calverton Elementary School and she was amazing.She captivated the audience and even coaxed the children who were apprehensive about meeting a clown for the first time. She gave the history of clowns, showed off her clowning trophies and plaques and performed an awesome act. She performed puppetry, balloon magic and even gave prizes. She is the best clown I have ever had the privilege of seeing perform and I would watch her performances over and over again! Thank you Ms. Leonard for your wonderful review of me! It is a pleasure to see children faces light up with joy and laughter when watching a clown perform from the heart! "Children is My Business" thanks again, Nica the clown entertainer. Thank you Ms. Jacqueline for taking the time out of your busy schedule to write such a wonderful comment on my review page. I was glad to read your wonderful comments about the children and my expertise! I would hire Nica the clown again. I hired Nica the clown to work at the bookfair. She was a big hit with the children and the adults. She painted beautiful glitter tattoos and the balloons were extraordinary. She did a great job. Thank you Mrs. Lazard for your wonderful comment about the book fair. I enjoyed the fair just as much as the children and adults. Thanks for using my service for several years at your fair, and for taking the time out of your busy schedule to rate my services. The participants truly come out when they hear about a clown with face paint, glitter tattoos and balloons! It is always a pleasure to serve your book fair! We raised so much money!! Nica is amazing! She is an awesome clown entertainer! Nica offers magic shows, face painting, glitter tattoos, games, balloon twist, dance &movement and story telling with hand puppets. 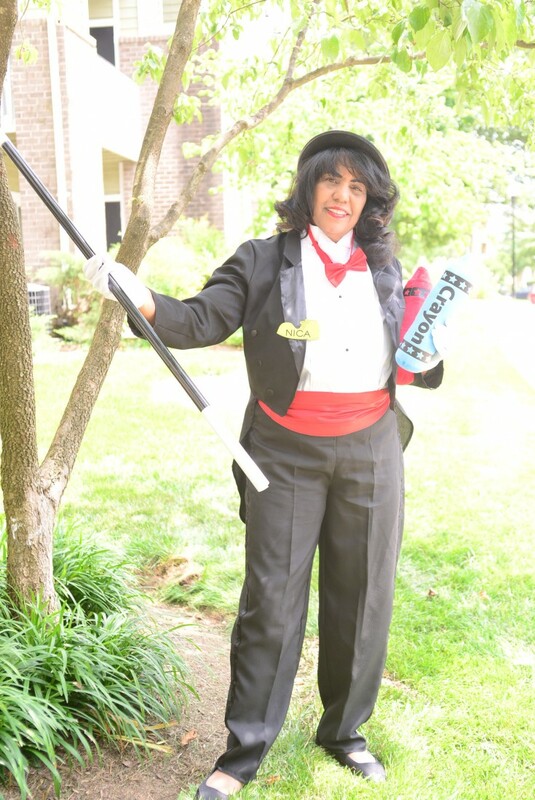 Nica performs annually for Calverton Elementary School in Beltsville, (Career Day in April, Math night in March, Reading night in April and Carnival Day in May) dressed as a Magician. We celebrate "Math Night" each year in the Spring, Nica entertains the audience using magic to teach a genre of Math skills such as: estimating, length, inches, addition, subtraction, division and multiplication. The audience always have a wonderful time! Nica, annually performs at C.E.S. in Prince Georges County during "Family Book Fair Night" offering Face Painting, Glitter Tattoos and balloons for all grades as a fund raiser to help raise thousands of dollars each year! Also, annually, Nica entertains several classrooms with Magic during "Career Day" the children are amazed with the magic! ~~Many Elementary Schools and summer camps, have booked Nica to teach magic using a variety of content areas such as: Magic to teach Language Arts, Math, and Science. What a wonderful time the Alpha Delta Kappa Educational Teachers Soroity had in April 2015 during our convention at the Holiday Inn In Laurel Maryland. What an awesome workshop, teaching my teacher colleagues to interact Magic with Math, Science and Language Arts in their classrooms to enhance a variety of skills and strategies when working with children of diverse backgrounds. Hire Nica for your next event the children and parents will be pleased! ~~ Nica is a professional magician/clown,she attended clown school in 2008 and offers REASONABLE rates! Nica provides: Magic shows, beautiful glitter tattoos for all ages, face painting, balloon twist, games for younger children indoors & out, dance & movement and storytelling! Nica has an interactive magic show with the children and they enjoy being her assistant! She greets children and parents in different languages which makes them feel welcome. Nica is bi-lingual, and does outstanding parties in Spanish and English. 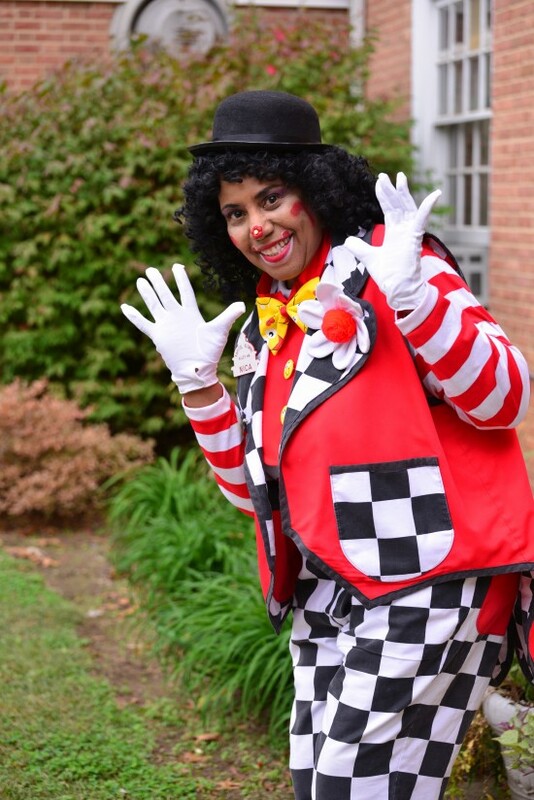 Nica is also a member of Kapitol Klowns Assn.of Maryland where she trained to be a magician and clown! Nica's background is ESOL Education, which makes her a superb magician and clown with children of diverse and multi-cultural background! ~~Nica provides entertainment for: birthday parties, anniversaries, school events, family reunions, corporate picnics, retreats, workshops,church events, etc..Nica also entertains pre-schoolers and kindergarteners with awesome stories using props and puppets that interacts with children. Annually, Nica raises thousands of dollars for schools book fairs by offering magic shows, face painting, balloon art and glitter tattoo in MCPS, PGCPS and HCPS. During the month of October, Nica volunteers her services at her church, FBCG in Upper Marlboro during the Harvest Festival, painting faces for hundreds of children! ~~PARADES~~ Nica has participated: Downtown Silver Spring Annual Thanksgiving Day Parade, St. Patrick's Annual Gaithersburg Parade, Labor Day Parade in Gaithersburg, St.Patrick's Annual Parade in Washington, D.C. and the Cherry Blossom Annual Parade in Washington D.C.
~~BIRTHDAY PARTIES IN PARKS~~ Wheaton Regional Park, Calverton/Beltsville Park, Clemonjohn Children's Park in McClean Virginia, Cabin John Train Park in Bethesda/Potomac, Pataspco Park in Millersville Md, and the beautiful Black Hill Park in Boyd, Maryland. Nica, is an experience Magician and Clown, she knows how to interact with audiences during performances. Nica has a wonderful personality and is very patient with children. If you want REASONABLE rates but yet a fantastic entertainer, LOOK NO MORE! Here is your entertainer (magician/clown) for your next event! Many children have told her at parties they will miss her when she leaves! BOOK NICA NOW!! The children and adults will love Nica! 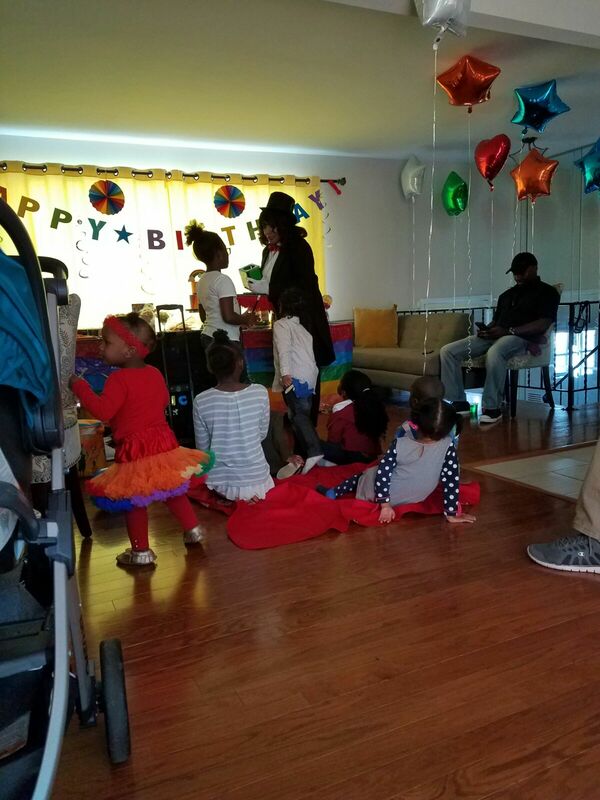 Nica has entertained at birthday parties for artistic children at Wheaton Recreational Center, Gaithersburg and Germantown home for Senior Citizens,and annually for the beautiful senior home Riderwood in Beltsville Maryland. The children and adults were happy, many were dancing, and singing in their own familiar style. 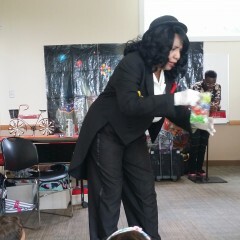 Nica the magician/clown is very patient with preschoolers, older children, senior citizens as well as those with disabilities. Nica is bi-ingual and knows how to interact with children of diverse backgrounds and different cultures. Nica interacts with children to assist during the performances, which they are happy to participate. I, Mr. Love attended a festival at our local church in Upper Marlboro, Maryland and watched Nica the clown entertain hundreds of children with balloon art, glitter tattoos and face painting. She was amazing with her love and patience that she had for so may children. Our church as seven thousand members and hundreds of children attended our annual "Harvest Festival" on October 29, 2011. Nica is amazing! She is awesome!